Paige's Page: Azteca Goes live!! 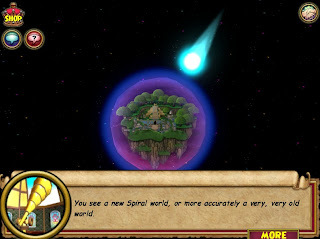 Azteca a world of lush plant life , beautiful views and dinosaurs has gone to live realm today in Wizard101. There are also 2 new mounts and pets in the crowned shop. :) I really like the look of them. All kinds of new free furniture about and furniture in the shops!! I cannot wait to upgrade my Aztec temple house with all these new pieces. See you around the spiral. Where is the aztec temple house? aztec temple house you say, is this a new house?